How's your week going? A little chilly? How about a scarf post? 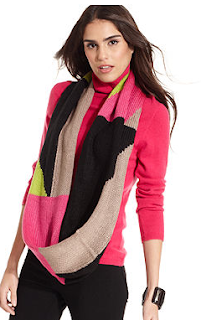 Today we're looking at colorblock scarves. Yes, it's a little expensive for a scarf, but I promise, Nordstrom cashmere delivers. 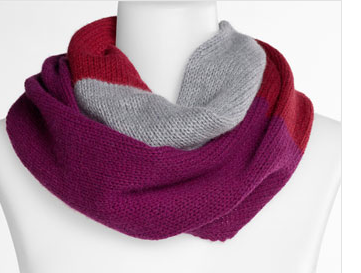 You will be so cozy and warm in this beautiful scarf. So maybe it's not 25 degrees where you are, try this stunner either around your neck or even around your purse handle! This bright yellow would be perfect under almost any color coat, even patterned. I really love the pops of neon in this scarf, it's a great layering piece with or without a jacket. You can never really have too many scarves, and embracing the colorblock trend is so easy with this accessory. OBSESSED with that yellow one! Love the AT color block option! SO festive!